The stage/radio variety show includes storyteller Nora McInerny, music expert Hanif Abdurraqib, comedian Nore Davis and singer Alela Diane. There'll be a "Date Night Double Feature" coming up: "'Til Death Do Us Part: An Improvised Love Story" and "Secrets, Lies & Alibis: An Unscripted Drama." 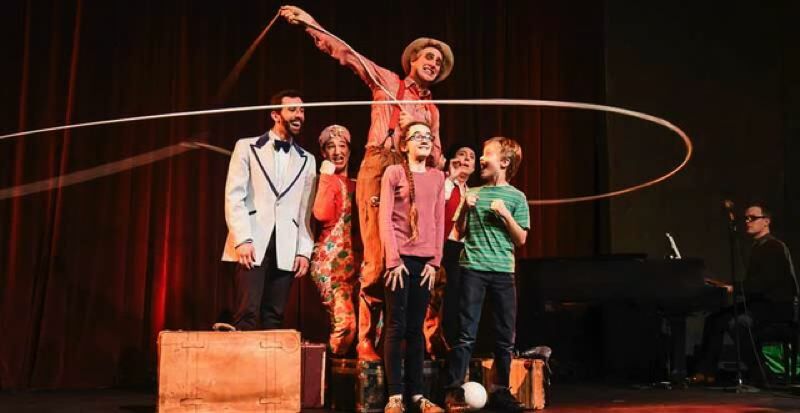 It's the annual improv performance by Oregon Childen's Theatre's Young Professionals Company, with comedic scenes and games all based on audience suggestions. By Tony Burgess and staged by CoHoProductions, it's the story of a small Oregon town named Pontypool, which has been hit with a devastating and mysterious epidemic. A radio shock jock and staff raise the question, "Is this just fake news?" It stars Todd Van Voris and is directed by Gavin Hoffman. By Profile Theatre and written and directed by Sara Zatz, it's a storytelling project featuring six Portland residents who manage life with a chronic illness, as told by the people who live through it with resilience, tenacity and hope. The presenting dance company welcomes Les Ballets Trockadero de Monte Carlo, a leading all-male comedic ballet company. Reminder: The Pacific Northwest Sportsmen's Show is a gathering for hunters, anglers, campers and adventurers at the Expo Center, 2060 N. Marine Drive, continuing through Sunday, Feb. 10. For complete info: www.TheSportShows.com. It's the 20th annual benefit show, featuring acrobats, performers and physical comedians, led by "Leapin' Louie" Lichtenstein. UPDATE: The Portland appearance of Michelle Obama, the former first lady, at 8 p.m. Saturday, Feb. 9, at the Moda Center, has been postponed because of impending inclement weather. It has been rescheduled for 8 p.m. March 19. It's called "Becoming: An Intimate Conversation With Michelle Obama." Original tickets will be honored. And, a check of the Rose Quarter website showed some $900 tickets still available. For more: www.rosequarter.com.